Sally Jo Steinpreis (née Crouser) was born December 28, 1948, in Odessa, TX, to Harold L. (“Buck”) Crouser, and his wife, Caroline K. (“Kay”) Crouser (née Boehmer). She was called to faith and became a child of Almighty God through the Sacrament of Holy Baptism on June 26, 1949, at Bethany Lutheran Church, Dormont, PA, by Pastor Walter Sodt. After two years of instruction in the truth of the Christian faith, Sally was confirmed in the Lutheran Church on April 7, 1963, at Our Savior Lutheran Church, Houston, TX, by Pastor W.A. Gerdes. Her confirmation memory verse was “I am come that they might have life and that they might have it more abundantly.” (John 10:10). 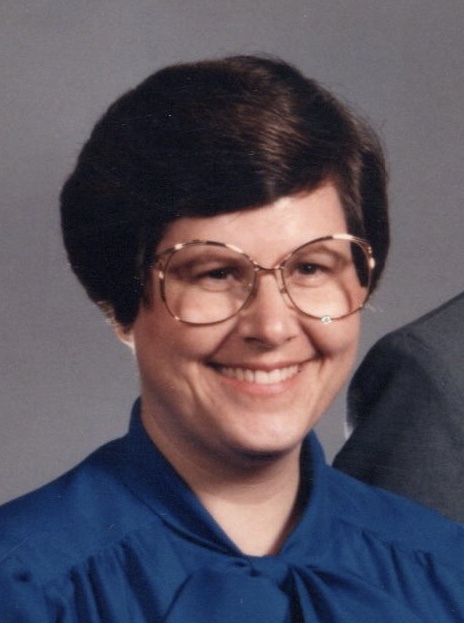 Sally attended elementary school in Odessa and middle school at Our Savior Lutheran School, Houston, TX. She graduated from Permian High School in Odessa on May 31, 1967, where she was inducted into the National Honor Society. She attended Concordia Lutheran College, Austin, TX, graduating on May 31, 1969. The following fall Sally enrolled in West Texas State University, in Canyon, TX, graduating with a Bachelor of Science degree on May 9, 1971. It was at St. Paul’s Lutheran Church, in Canyon, TX, that Sally was introduced to her future husband (at his insistence) by their future sister-in-law, Jan, in January, 1970. John and Sally were married on June 7, 1970, by Pastor Lindsey Dettmer at St. Paul’s Lutheran Church, Darrouzett, TX. They were blessed with two children, David Karl in 1974, and Deborah Kathryn in 1977. Sally was a public-school teacher in Texas. She taught 2 years in Amarillo and 20 years in Llano. Sally left this world to be with her Lord and Savior Jesus Christ on November 26, 2018, after suffering complications following surgery in Grapevine, Texas. She left behind her beloved husband of 48 years, John, of Perryton, TX; their son, David, of Perryton; their daughter, Deborah Mitchell and husband, Travis, of Buda, TX; one very special granddaughter, Hadley Kathryn Mitchell, also of Buda. She also leaves one sister, Joyce Crouser, of McKinney, TX; and two brothers, Jerry Crouser and wife, Jan, of San Angelo, TX, and Paul Crouser and wife, Sally, of San Antonio, TX. She also leaves one sister-in-law, Katherina Harmon of Noble, OK; along with several aunts and uncles, many cousins, nieces, nephews, and friends.